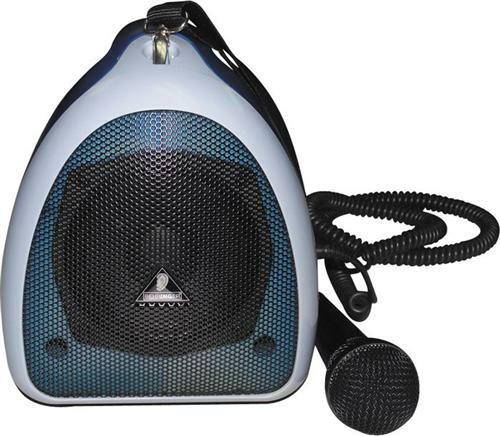 The Europort EPA40 portable PA system has been designed for public address applications, projecting to a crowd of up to 100 people, while you strap it conveniently on your shoulder. This is the ideal PA system for business meetings, tour guides, classrooms and outdoor activities�ultra-compact, portable and easy to operate. It features a 5" full-range loudspeaker with 40 Watts of power, an integrated battery pack for 8 hours of continuous operation, Mic and Aux inputs as well as a high-quality dynamic microphone and accessories such as charger and cables.